On Saturday 28th March, Diego Urieta Mayor of Manilva and his team officially opened Sabinillas’ Sports City (Cuidad Deportiva), comprising of a multi-purpose sports hall, gym, changing rooms, outdoor padel and tennis courts, a football pitch, large event space and parking. The padel and tennis courts and the football pitch are already being enjoyed by local residents and are currently free to use. Courts can be reserved by calling the Sports Delegation 952891532. 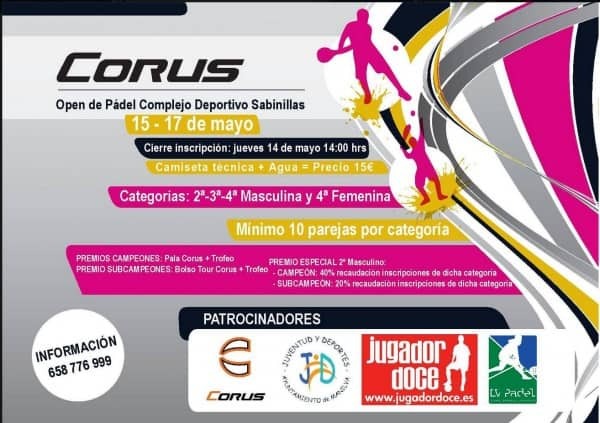 There will be a padel tournament from 15th-17th May at the Cuidad Deportiva, with several male and female categories. It costs 15€ to enter, which includes a t-shirt and water, and prizes include racquets, bags and trophies. Registrations are now being taken for the tournament until 2pm on 14th May, for more information call 658 776 999. A summer timetable covering June to August allows residents to do unlimited classes in any of the fitness centres in the area. 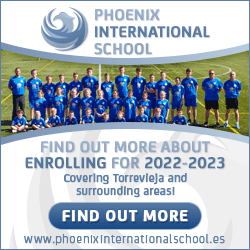 In September there is the opportunity to sign up for nine months of fitness classes by visiting the sports’ delegation by the football pitch in Manilva Pueblo. Exercise classes including Zumba, Yoga, TRX (Extreme Training) and Legs, Bums & Tums (GAP) are held every day, consult the timetable in the centres or at the Delegación de Deportes. The completion of Sabinillas’ Cuidad Deportiva, the largest investment made by the Town Hall in its history, was one of the priorities of the Mayor when he took over four months ago and a huge effort was made to open the centre for the International Women’s Day celebrations. The pool is still awaiting completion due to legal proceedings between the two construction companies who tendered for the project, however the Mayor’s office has announced that the legal case has now been resolved and a new tender process will take place this month. The gym is being put out to tender to a private company and they are awaiting the arrival of the equipment before announcing the official opening date. However the Town Hall has assured residents that they will be controlling the prices the company charges in order to allow access to all. Diego Urieta closed the ceremony by thanking the people for their patience and hard work in completing the project. The Mayor referred to the complex as a first class facility which will complement the other excellent sports facilities in the town to make a wide range of sports accessible to all. Finally, he quashed rumours by stressing that the Municipal Sports Schools have not been, and will not be privatized while he is Mayor of Manilva. Sabinillas’ Cuidad Deportivo adds to Manilva’s 18 hole golf course, watersports, indoor rock-climbing facilities, excellent tennis courts, football pitches, basketball courts and a municipal sports academy where children and adults can learn how to play a wide range of sports at affordable prices.